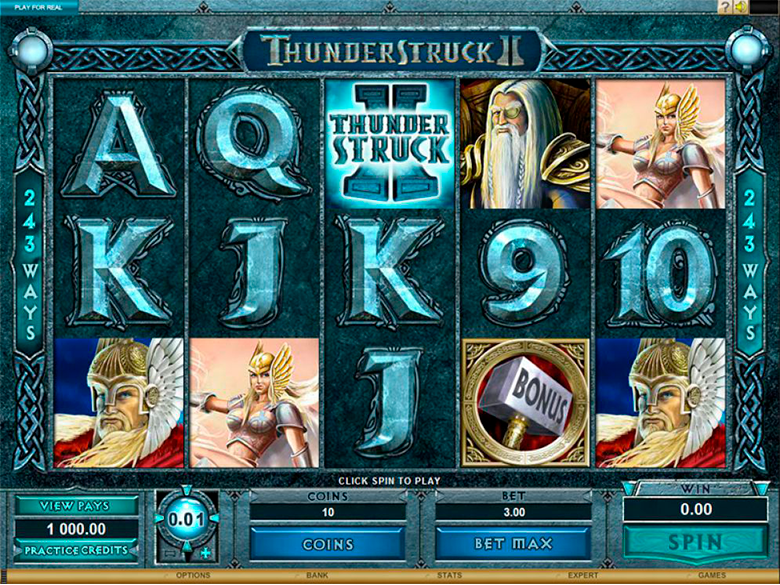 Famous developers Microgaming devoted one of their popular slots to the god Thor – Thunderstruck II. Besides Thor you will be introduced other characters of Scandinavian mythology – Supreme God Odin, the mischievous Loki, the fierce Valkyrie. The developers dedicated a separate round of the bonus games to each character. The Thunderstruck II has amazing quality of graphics and fun gameplay. It means that you are guaranteed amazing user experience and a lot of fun. 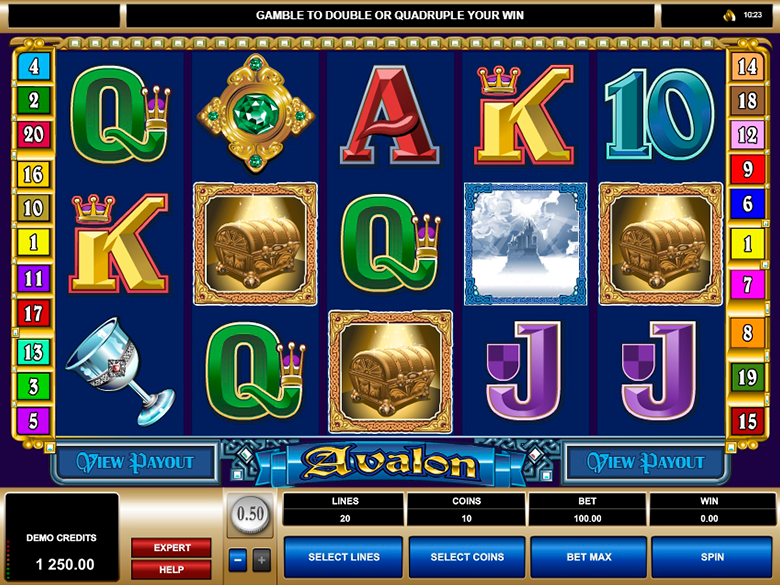 The Thunderstruck II slot machine has five reels with all symbols are arranged in three lines. 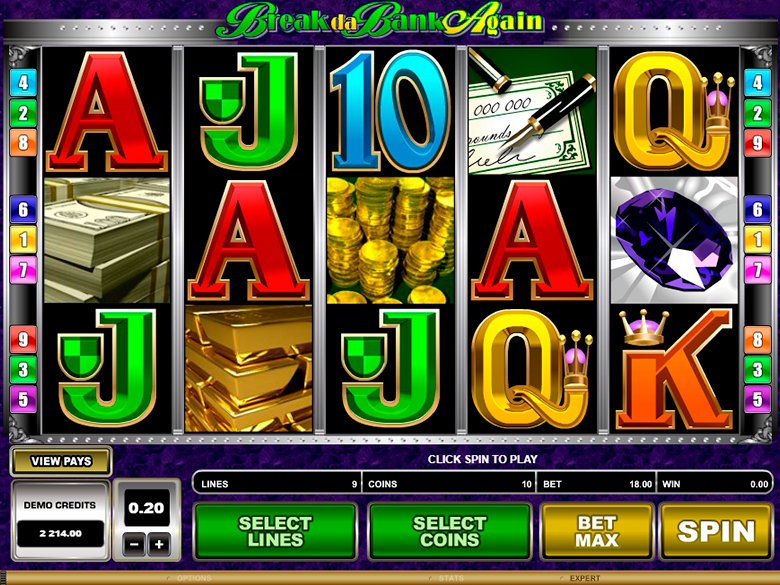 Playing this sot you will find multi-level bonus round, special symbols and multiplied winnings. One bet per spin equals to 75 CAD. You will not find any classical lines as you are probably used to seeing them. Three or more same symbols located on adjacent reels that are linked to each other horizontally or diagonally form combinations. The biggest coefficient is x1000. Scatter sign, paid according to special rules, is the only exception. Reels in Thunderstruck II slot show Thor, Loki, Odin, Valkyrie, the city of the gods of Asgard, the ship and the denominations of the playing cards from nine to ace. Thunderstruck II logo is the wild symbol. These symbols make combos with the largest coefficients. If in the right place they are able to replace other symbols (except Scatter), and help to win. Wild symbol, being in a combo of two symbols, will double your payout ratio. Thor hammer, which is scatter symbol, has an inscription Bonus. These symbols are paid regardless of the location on the reels. The size of the win is equal to one, two, twenty or two hundred total bets (for two, three, four or five Scatter, respectively). If you happen to have three scatters the Great Hall of Spins shall be launched. Thunderstruck II is a fast, captivating and beneficial slot for dedicated punters. Once you try it you will see all its advantages. There are several ways to play your favorite games: directly in browser on a desktop PC, on iPhone and Android in instant play mode in multiple mobile casinos like playcanadacasino.com. You will not need to make any downloads. The best bonus of Thunderstruck II is Great Hall of Spins. With its help gamblers are able to open a multi-level free spins bonus. To be awarded access to the bonus a player has to collect three or more symbols of hammer on the reels. If, between your first and fourth visit to the hall, you enter the Great Spin Room, you obtain Valkyrie bonus giving you 10 free spins. All your winnings will be multiplied by 5. Besides, you will be able to get some more free spins. Between your 5th and 9th entrances to the Great Spins Hall there is a chance to obtain Loki bonus. 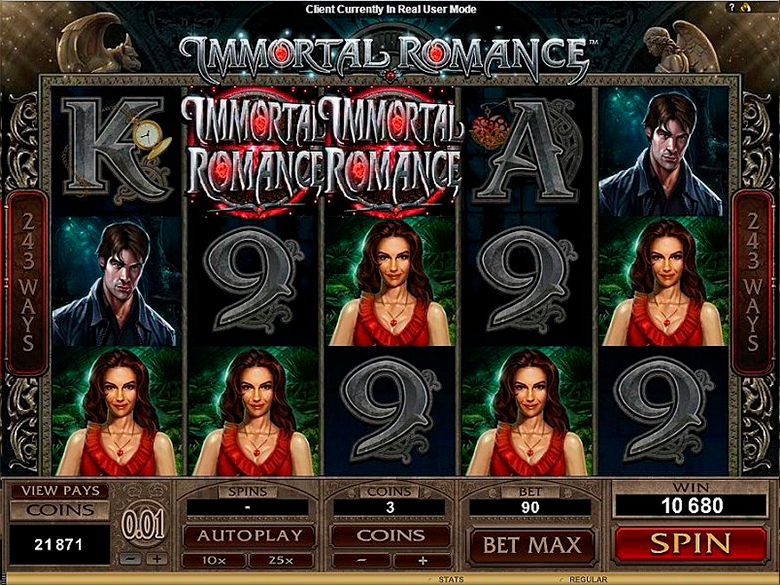 At this level you will be given two types of bonuses – 15 free spins and bonus of wild magic. You should search for wild magic signs on reels, since it may transform other symbols into wild symbols. This type of bonus will welcome you between 10th and 14th entrances to the Hall with 20 free spins and a wild crow bonus. This is the last and most generous bonus of free spins. It is obtainable at the 15th entrance to the Great Spins Hall. According to the rules, this bonus gives you 25 free spins with Rolling Reels option. Once you manage to pass all bonus levels, you will be able to select the bonus you want to play at your next appearance at the Great Spins Hall. For gamers’ convenience the game has memory which gives you an opportunity to continue the game from the moment you finished it last time. Being a true creation of its developers, Thunderstruck II fascinated with its graphics, sounds and multiple possibilities to win. It has lived through the years and is still in the top list of most played slots. You can play your favorite game anytime and anyplace at playcanadacasino.com with full set of features.